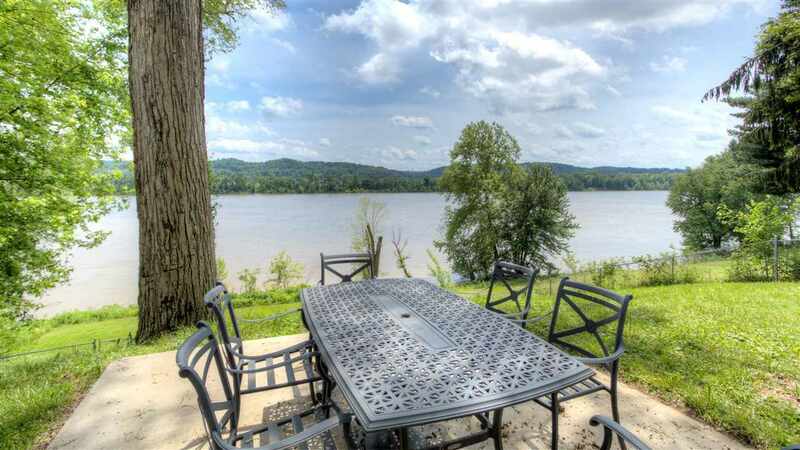 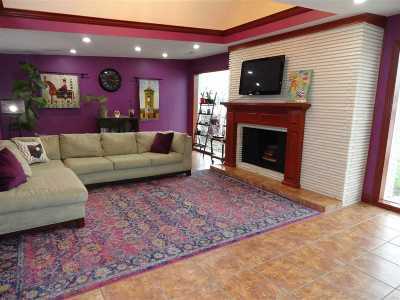 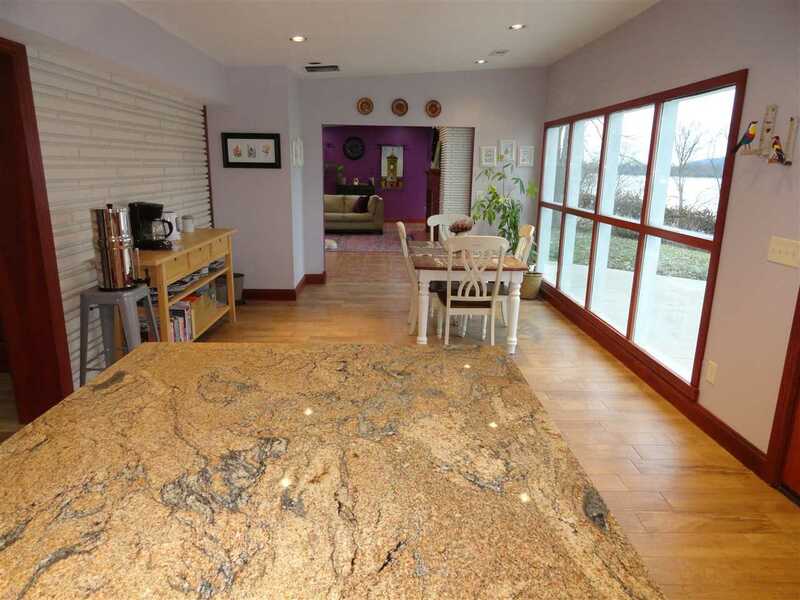 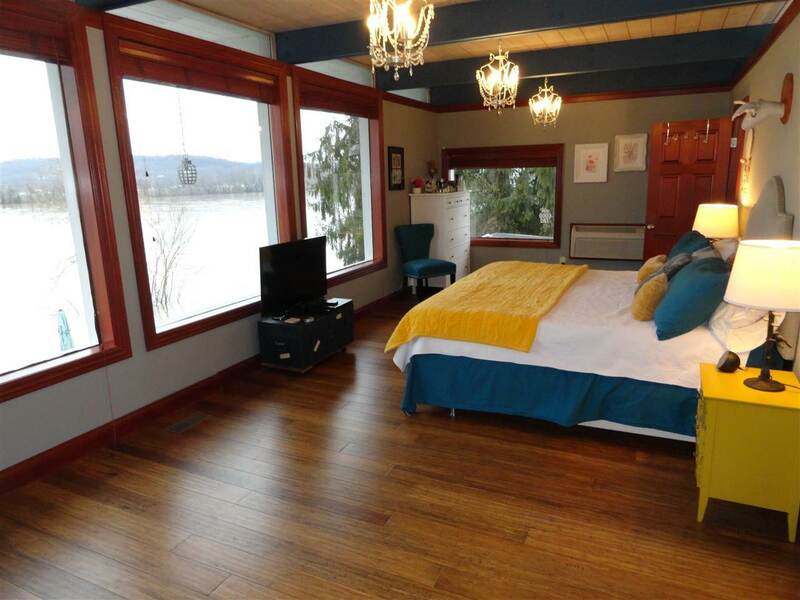 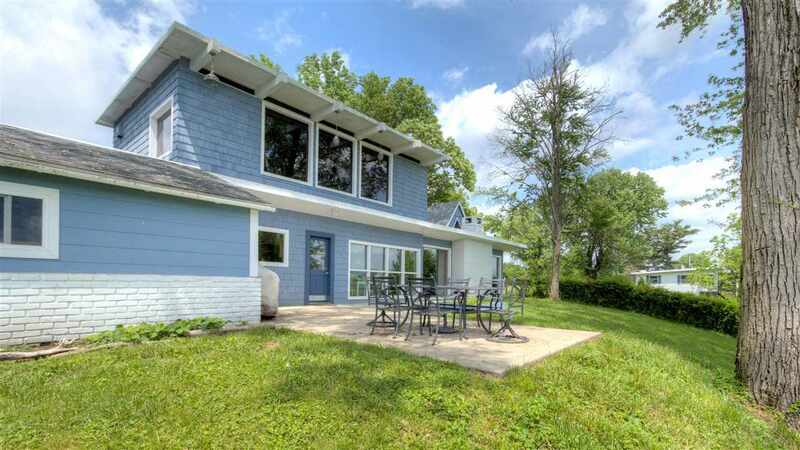 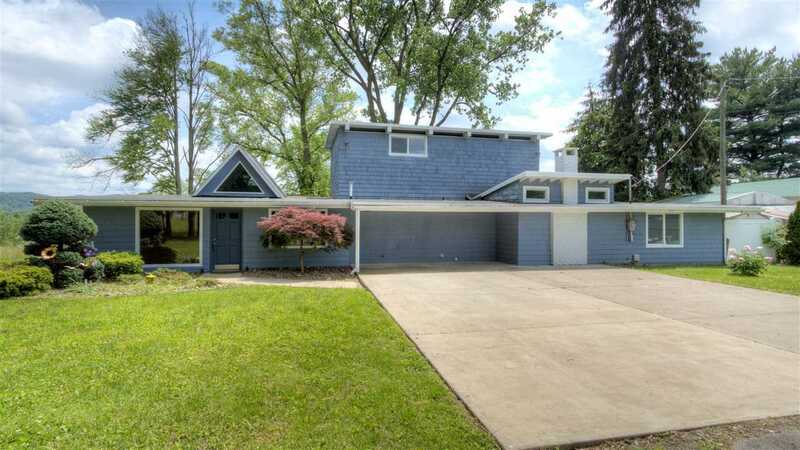 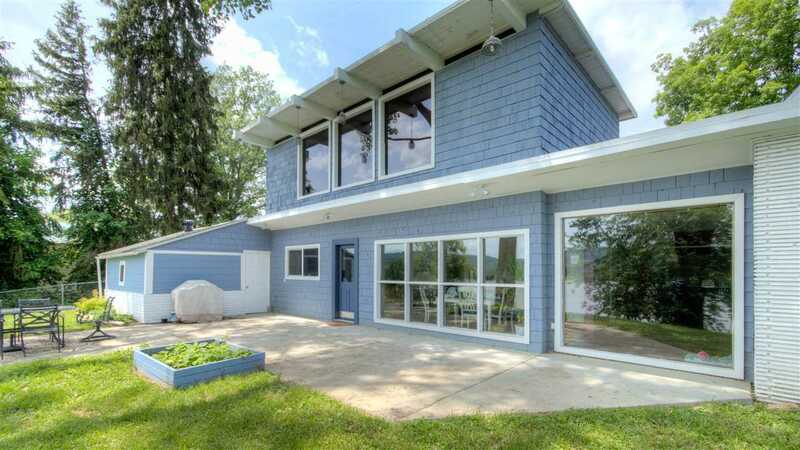 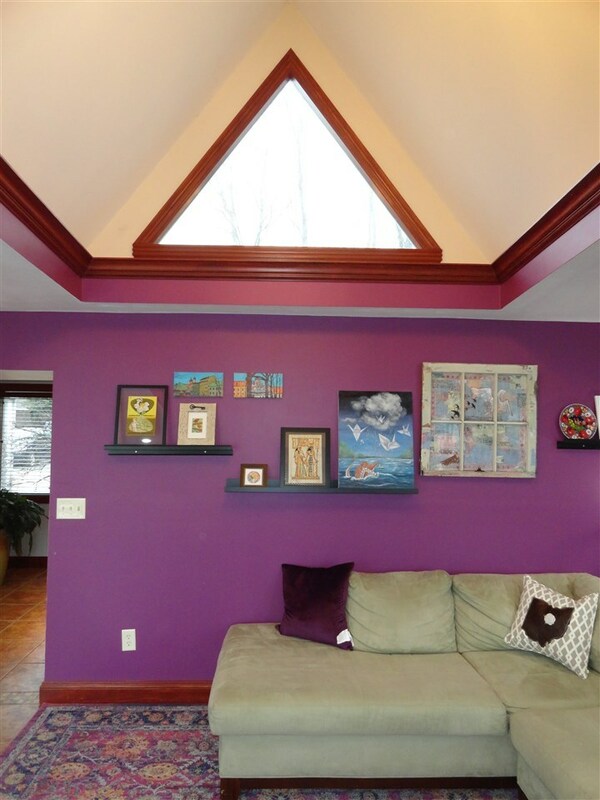 One of a kind riverfront home built with a breath taking view of the mighty Ohio River in mind!. 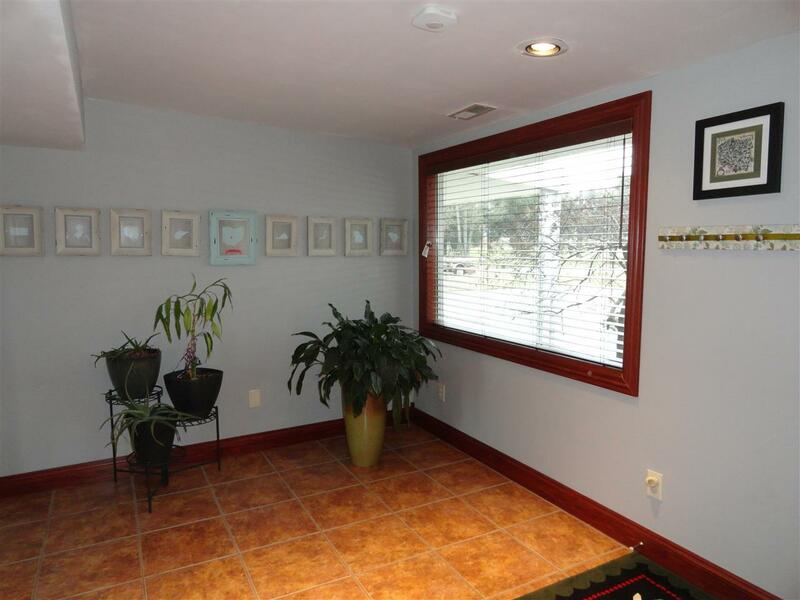 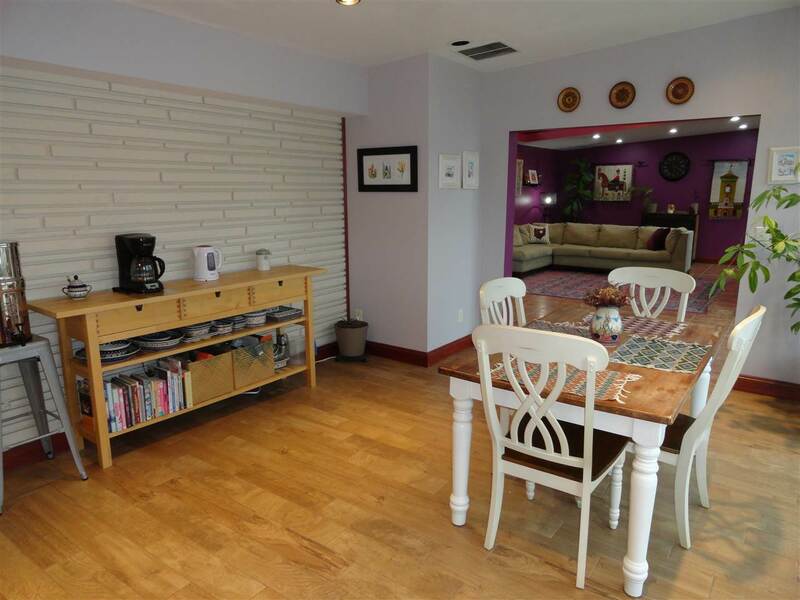 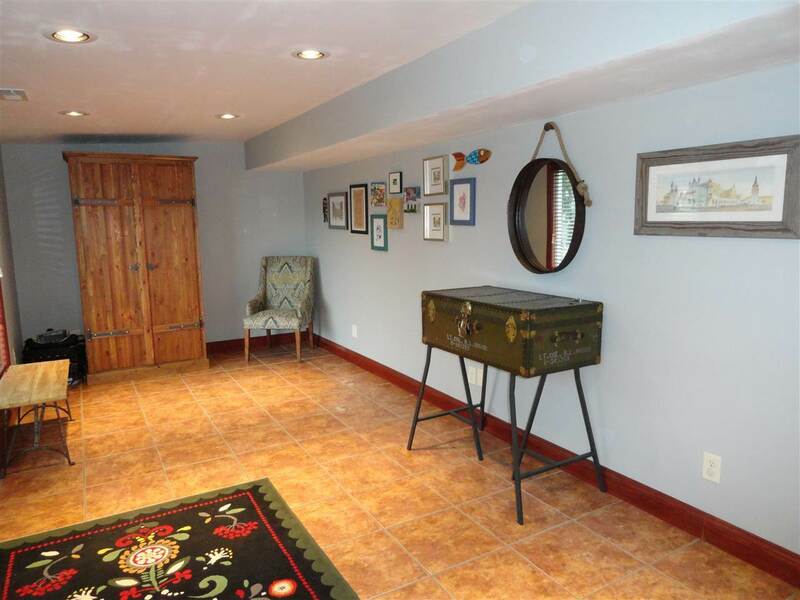 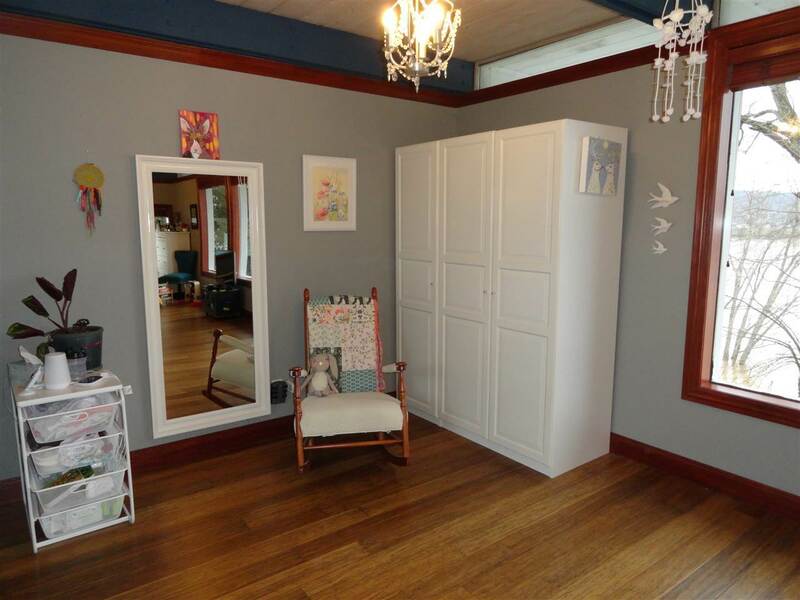 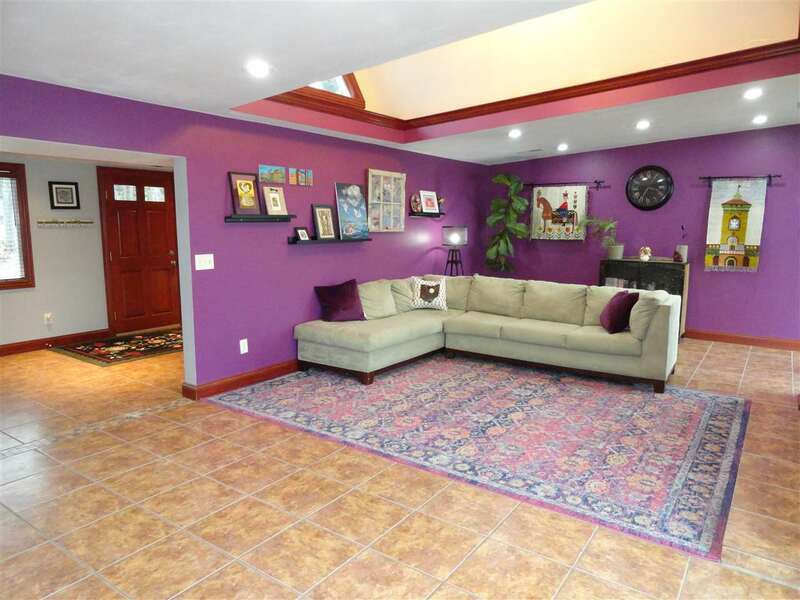 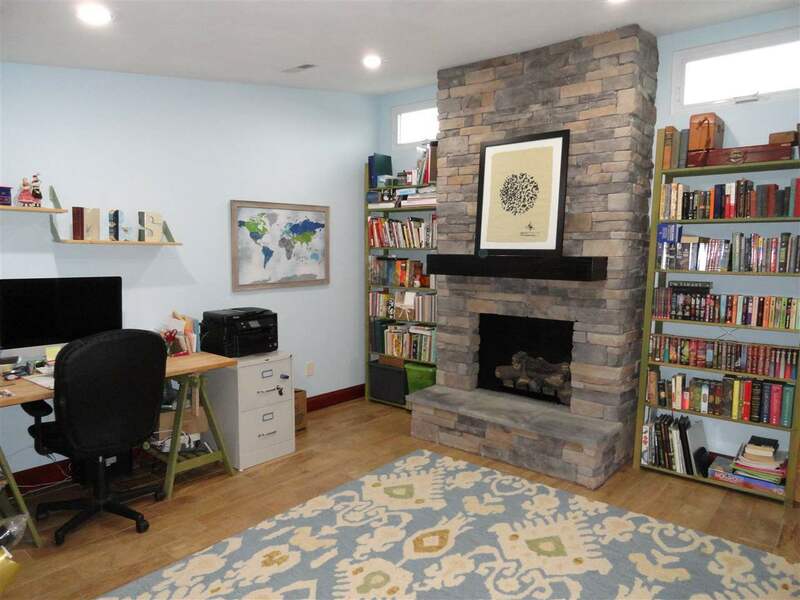 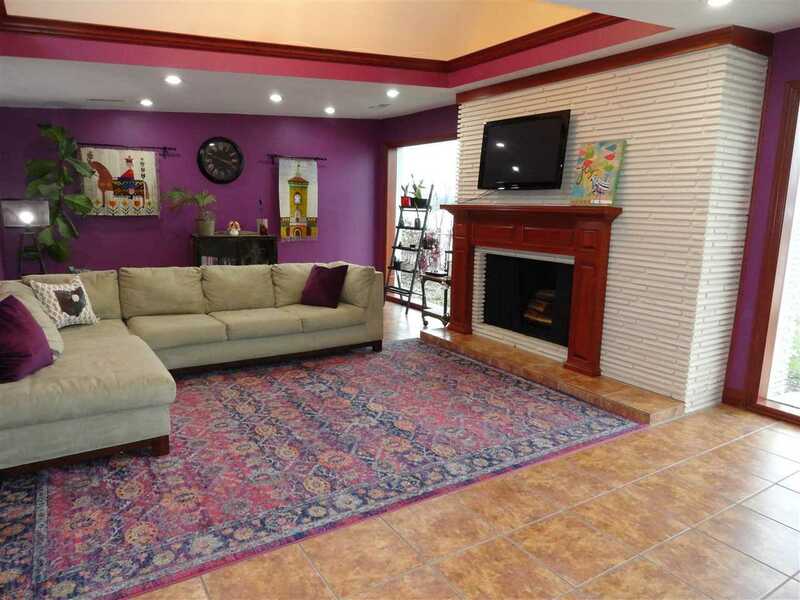 This gorgeous home, loaded with updates, has so much to offer beginning with the 24&apos; x 9&apos; foyer with tile flooring and recessed lighting providing the opportunity for great office space or simply a relaxing, reading room. 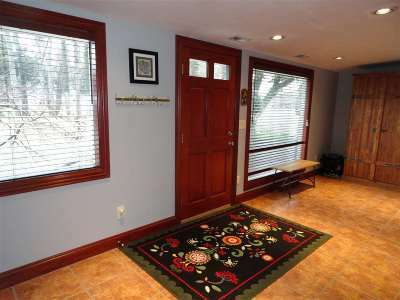 This entry is open to the light filled living room with cathedral ceiling, recessed lighting, tiled flooring, stone fireplace and lots of natural lighting from the over-sized windows flanking the fireplace. 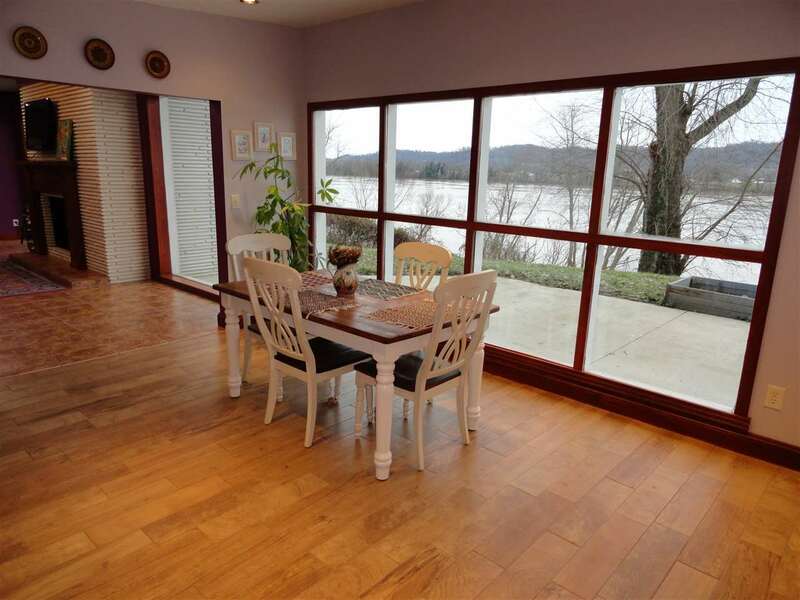 The living room is open to the inviting dining room and kitchen both of which offer tiled flooring, recessed lighting and a wall of windows overlooking the patio, the fenced back yard and the Ohio River. 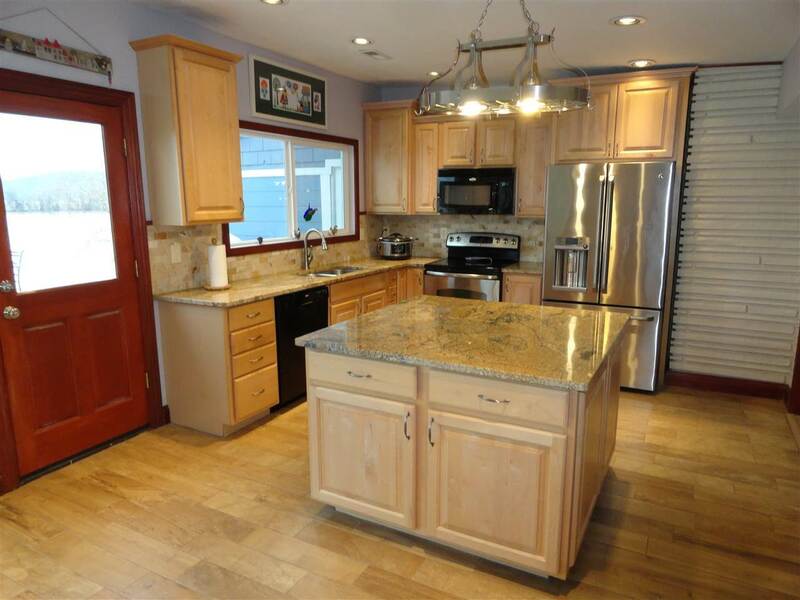 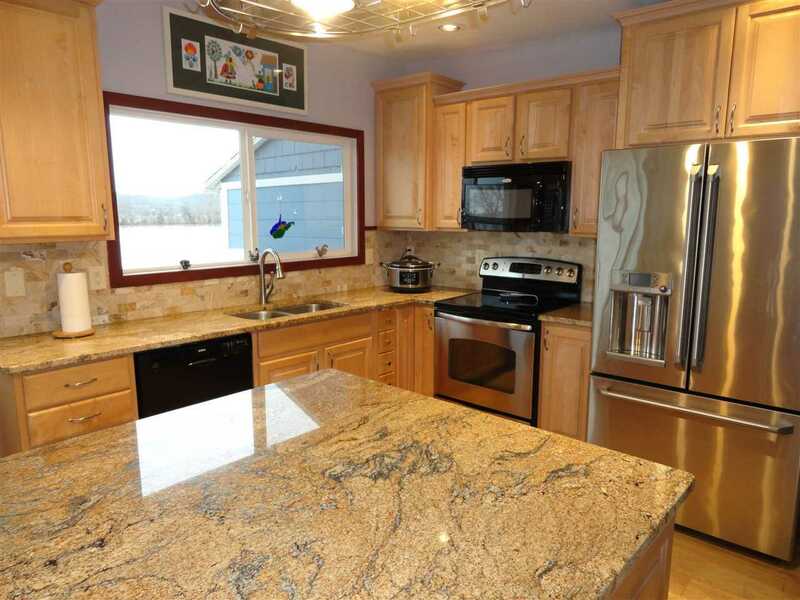 The striking kitchen includes a large work island, maple cabinetry and granite counters. 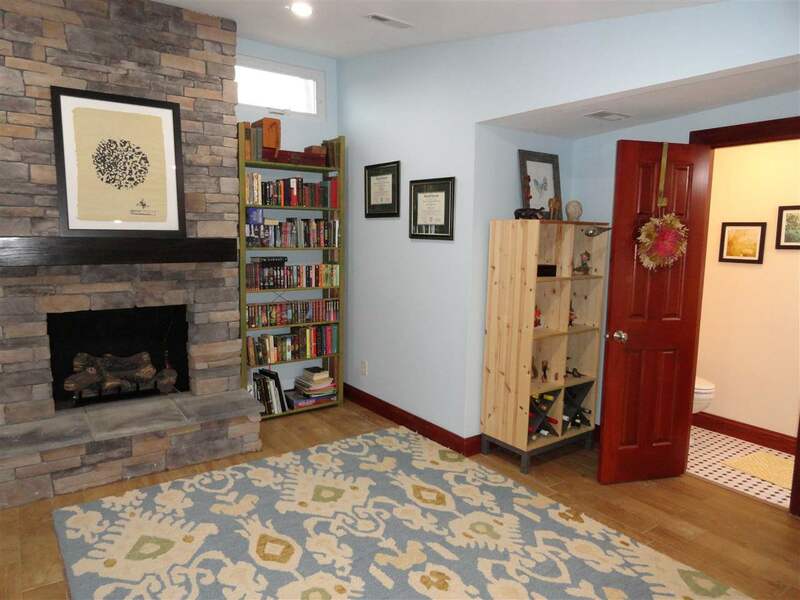 Off the kitchen you will find a relaxing gathering room with a slightly vaulted ceiling, recessed lighting and a striking stone, gas log fireplace. 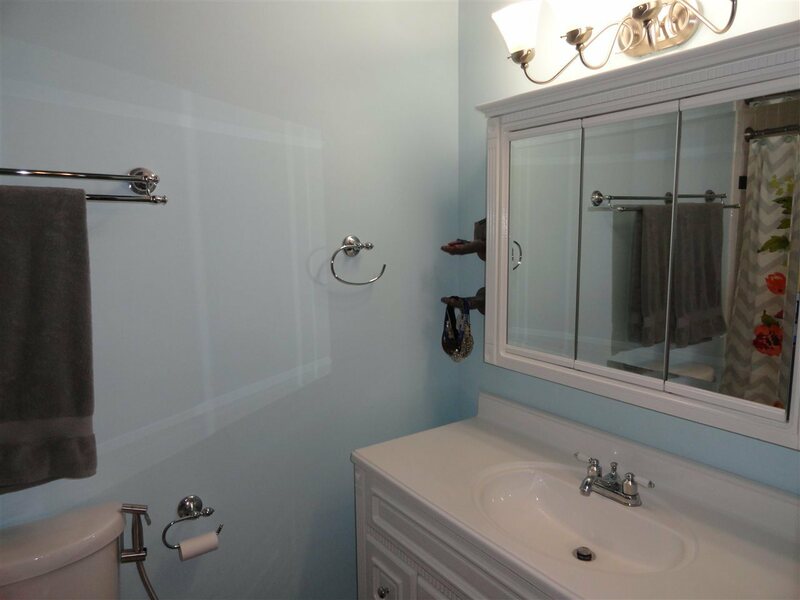 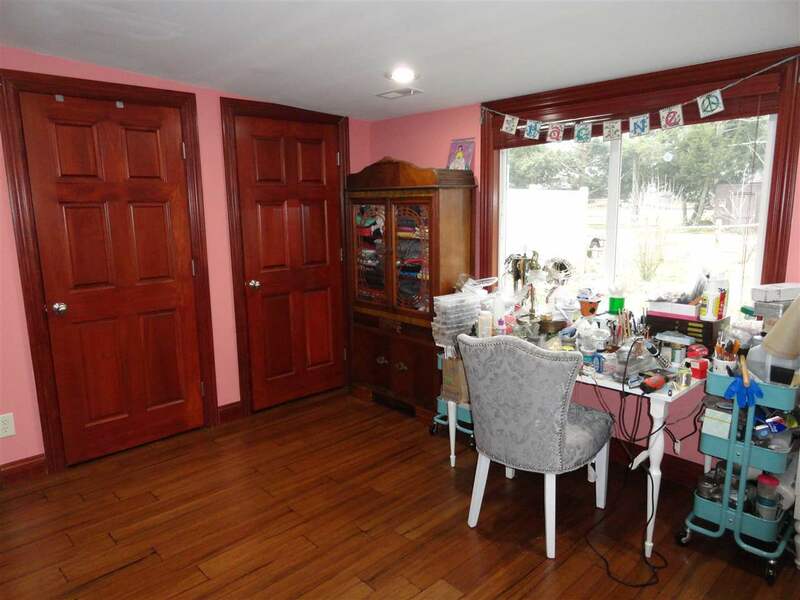 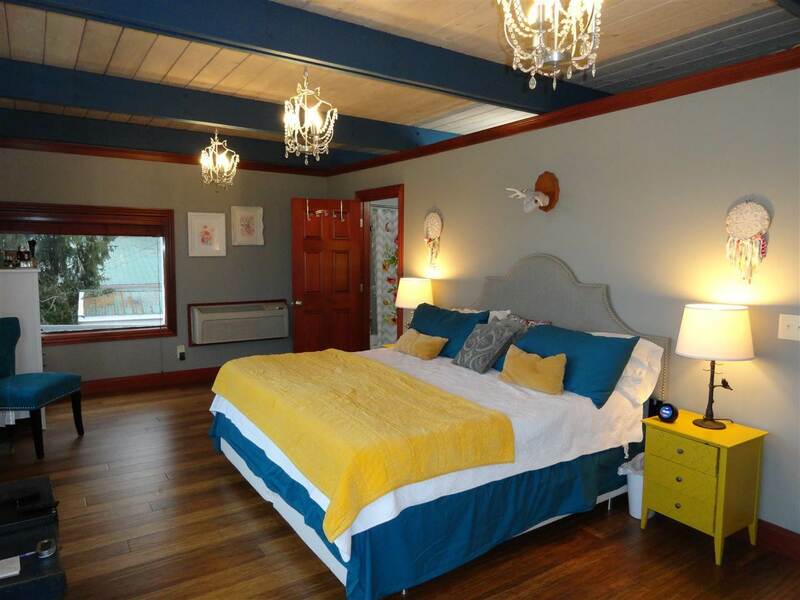 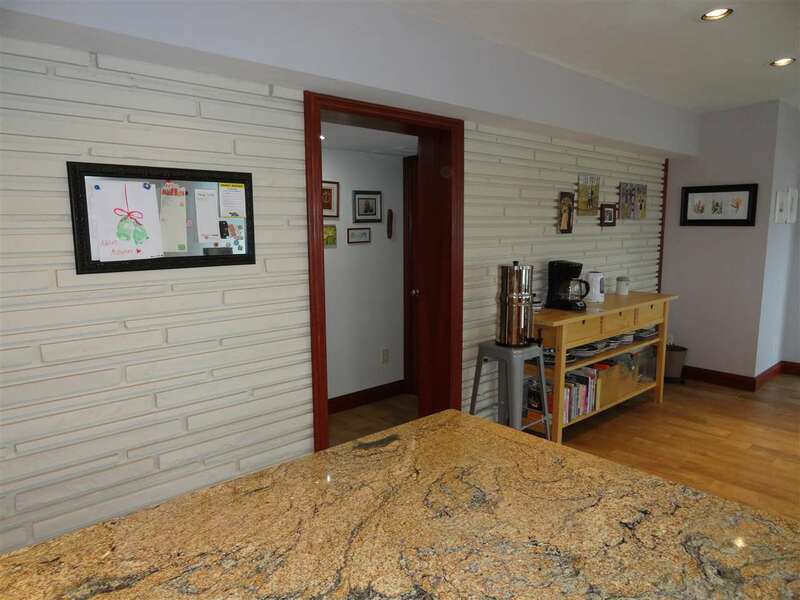 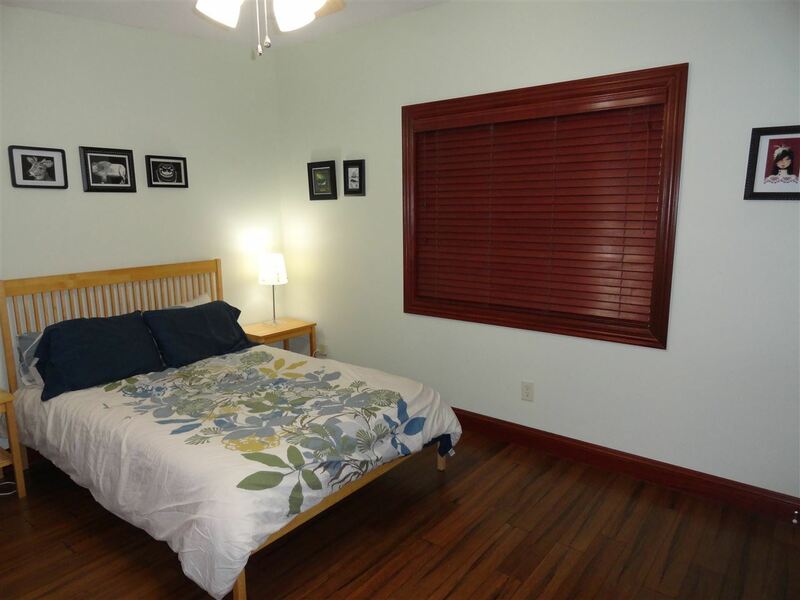 Two main floor bedrooms both with hardwood flooring share a full jack-n-jill bath with tile flooring. 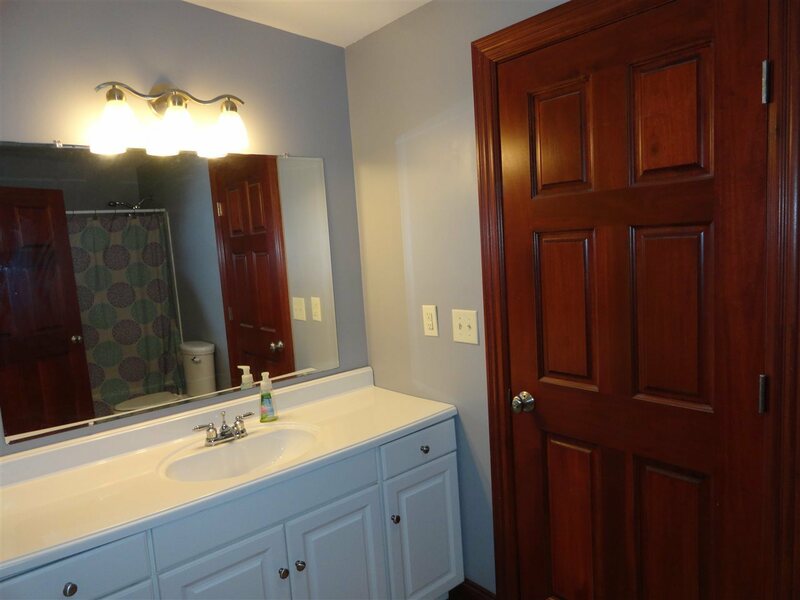 The powder room and a large laundry room both with tile flooring complete the main level. 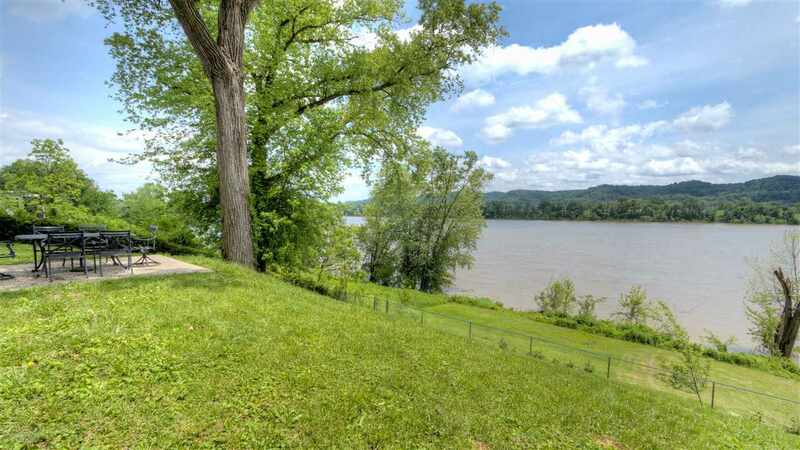 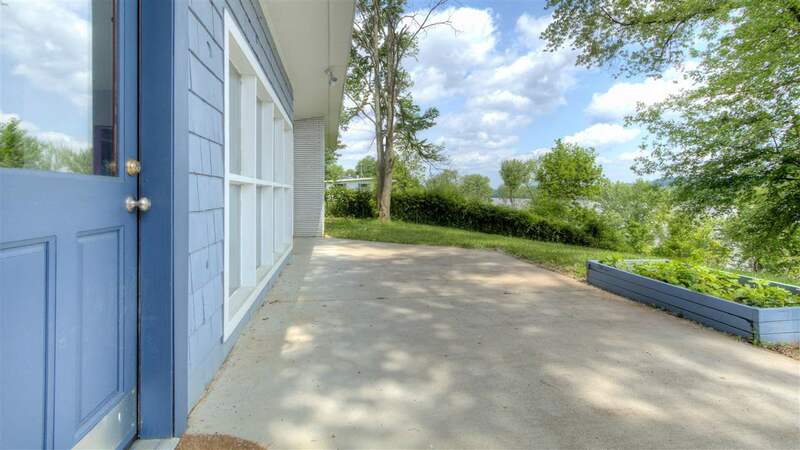 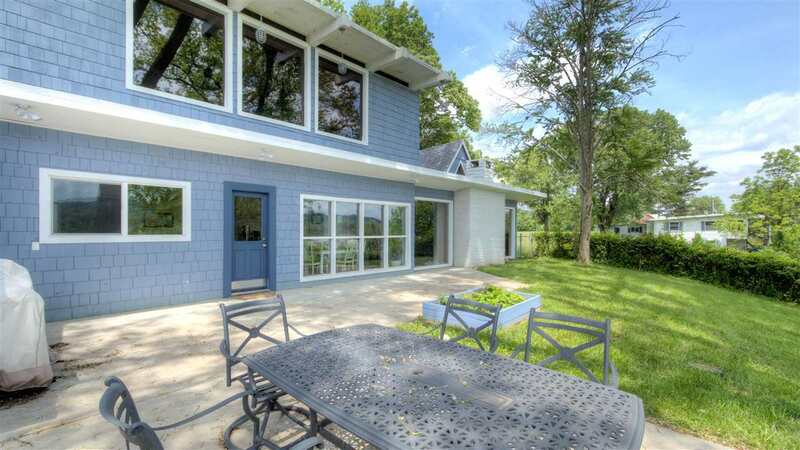 The total upper level is devoted to the owner&apos;s suite with hardwood flooring, exposed beam ceiling and a wall of windows that offer an awesome panoramic view of the Ohio River. 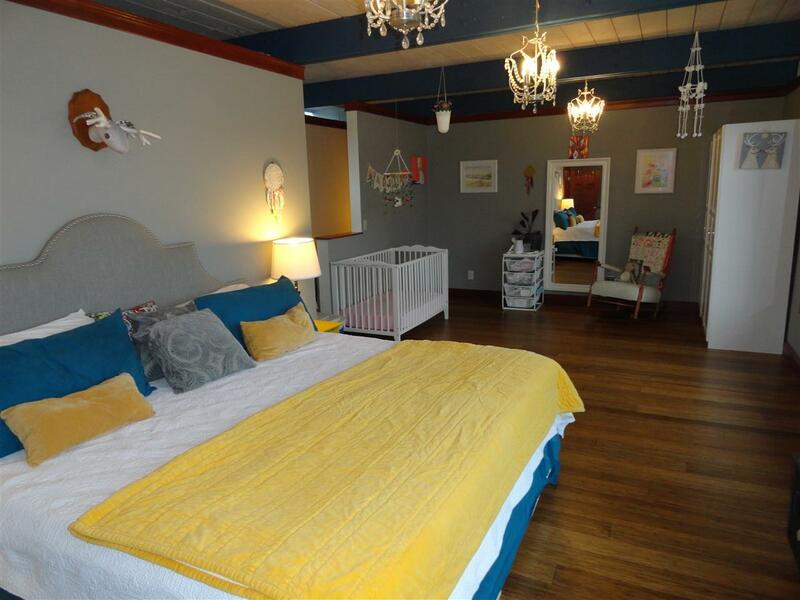 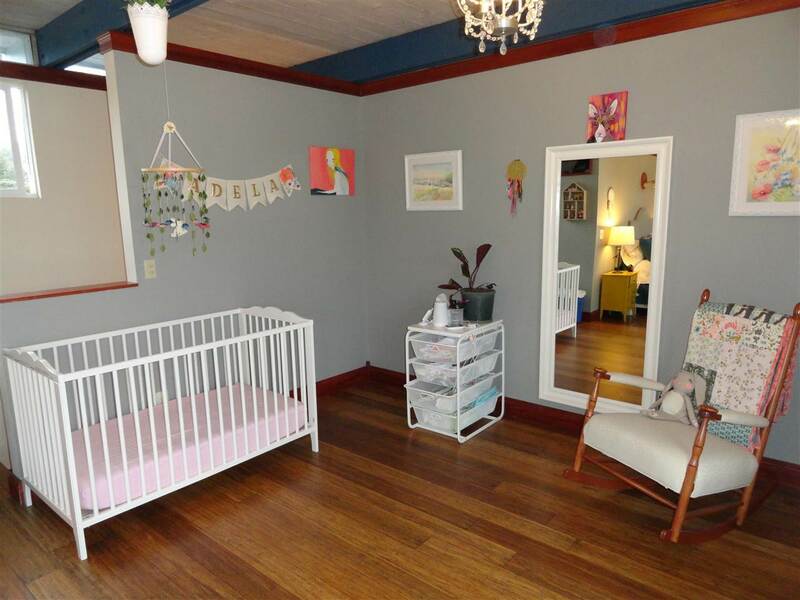 The 29&apos; x 11&apos;6" owner&apos;s suite is large enough to easily accommodate a nursery or office and includes a private, full bath and walk-in closet. 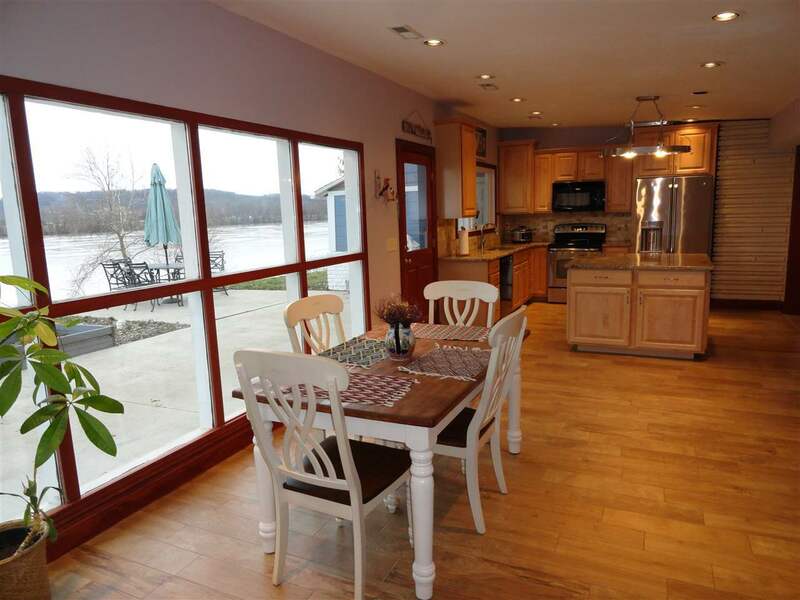 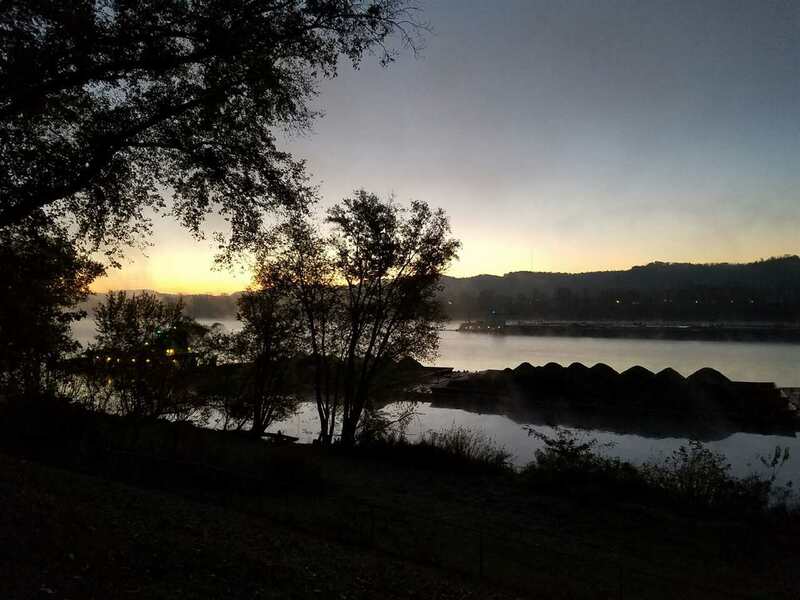 Solid wood, six panel doors throughout, Large patio area overlooking the Ohio River, an attached storage building and plenty of off-street parking included with this beautiful home! Property includes apple trees, thornless blackberries, strawberries and elderberry bush.